Saskatchewan was first explored by Europeans in 1690, with Henry Kelsey sailing up the Saskatchewan River in the hopes of trading for furs with the natives. The first settlement in the territory was established by the Hudsons Bay Company in 1774. This was led by Samuel Hearne. The shape of Saskatchewan began to take shape in 1803, when the US went through the Louisiana Purchase. 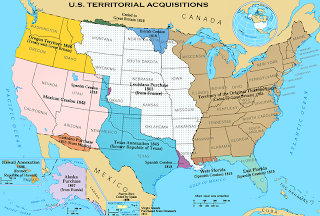 This saw the US buy a vast tract of land previously countrolled by France. This land ran from the Gulf Coast all the way up to the border with British Canadian territory. 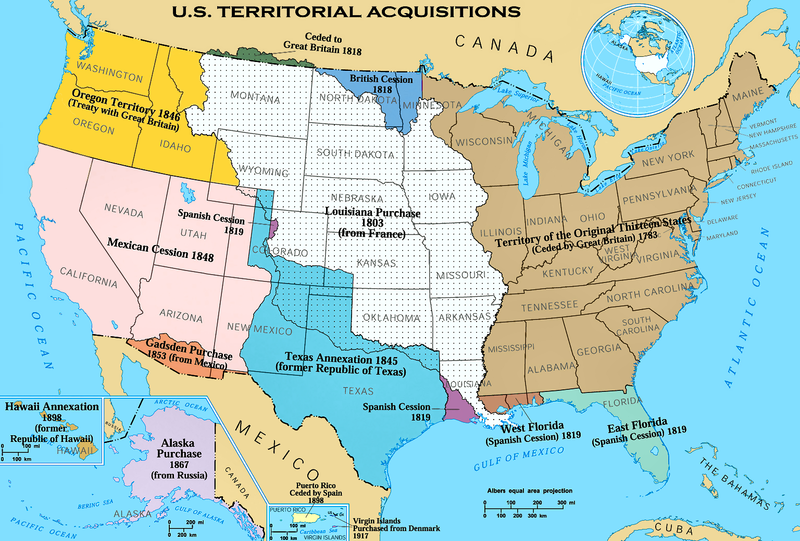 This was followed up in 1818 with what essentially amounted with a territory swap between the US and Canada. This swap allowed the border between the two to stretch in a straight line from the Great Lakes, west. All this territory fell under the initial control the Hudson Bay Company. However, the new Canadian Confederation took control of the Hudson Bay Company territory in 1870. 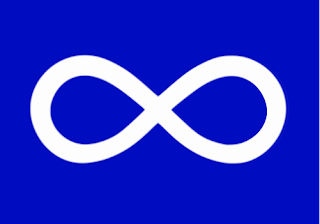 However, when Canada took control, they where not initially able to effectively exercise control, and the native Metis people rose up in revolt. 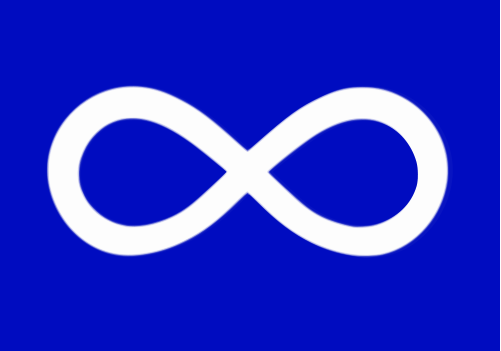 The North West Rebellion (1885) occurred because the Metis people did not feel that the Dominion had effectively addressed their concerns as a native tribe. This did, however, give Saskatchewan one of its early flags. A simple infinity symbol on either blue, or red. Canada also ran the risk of losing the territory to the US. At the time, the US wanted to seize and control more territory, and with Canada taking control from the Hudson Bay Company, effective federal control took time. And the fear was that the US would try to step into the vacuum. However, federal control was established with the North West Police enduring the "March West" which saw Canada establish its control. Further control came about with the construction of the Canadian Pacific Railway. 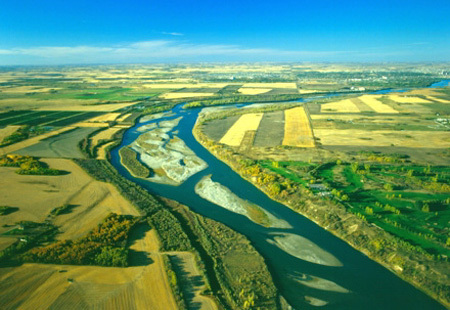 Construction of this linked Saskatchewan with the rest of Canada, as well as preventing British Columbia from considering a move to the US. Thanks to the railway, the population in Saskatchewan exploded with new settlers being granted a small area of free land. 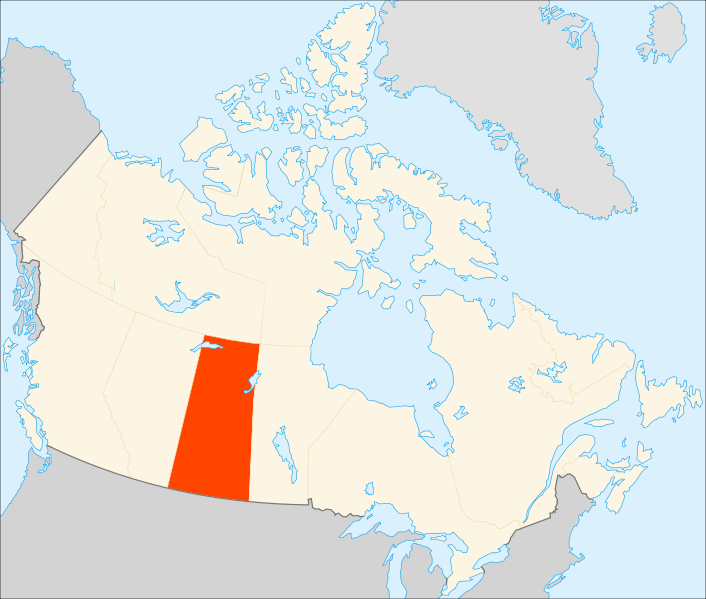 The population grew, and by 1905, Saskatchewan became a province in its own right. 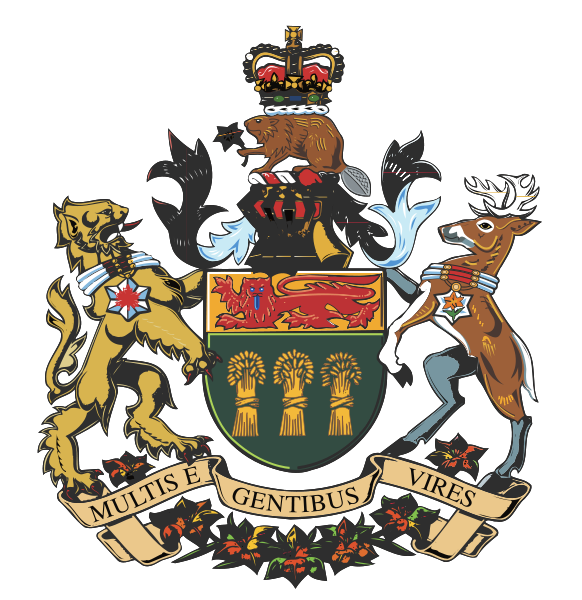 The following year, Saskatchewan was granted its coat of arms. The central shield uses the provinces colours of red, green, and gold. On the gold is a red lion passant. A representation of England, the provinces initial territorial governors. On the green, the 3 gold wheatsheaves represents the agriculture of the province. A major industry. The rest of the coat of arms, the golden helmet mounted by a beaver, which is Canada's national animal. The beaver is holding a Western Red Lily. This is Saskatchewan's flower. The supporters are a royal lion, and a native white tailed deer. Both are wearing native people's beadwork. Suspended from the beadwork is a badge, the Order of Saskatchewan. The coat of arms gained its surrounds in 1985. In terms of flag, there has been some debate over whether or not the province used a Red Ensign. It is believed, not. However, in 1964, a competition was launched to commemorate the Provinces upcoming 60th anniversary. As part of the design brief, the competition instructed that the major colours of the coat of arms should be used to design the flag. The flag itself was a horizontal bicolour of green and red. The green representing the fields and agriculture, the red representing the fires that ravage the prairie at regular intervals. On the staff side of the flag is a stylized gold sheaf of wheat. Place on the red stripe on the fly side is the shield taken from the coat of arms. The flag was officially unveiled in 1965, and its use was extended into 1967 for the Centennial celebrations. 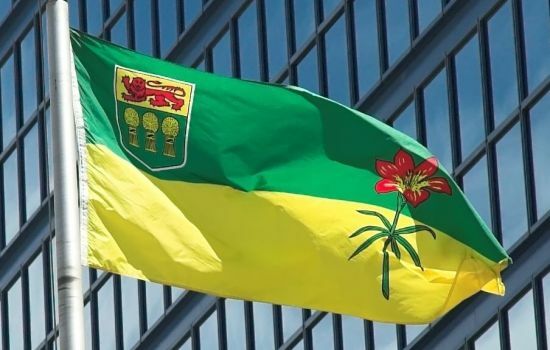 Whilst this flag was used widely, it was never the "official" province flag. Though its supporters hoped it would be. 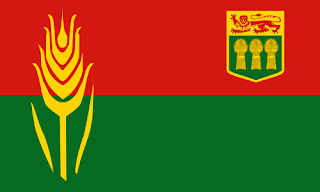 However, after a province-wide competition, a new, official flag was raised in 1969. It shared some similarities with the unofficial anniversary flag. The new flag was also a bicolour, and featured the shield. As well as an example of state horticulture. The flag features green and gold colours as its base. Green on top, gold underneath. The green represents the forests in the north, and the gold represents the fields of wheat in the south. The shield is place in the upper canton on the hoist side, and a western red lily, the province flower, is placed on the fly side.